Nabeel Qureshi & Fizza Ali Meerza’s Load Wedding seems to be caught in the brunt of Eid’s clash of the Titans. 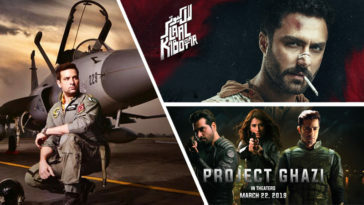 Where JPNA2 is creating records and Parwaaz Hai Junoon registering massive numbers, this purposeful social drama isn’t living up to its boxoffice expectations considering the financially successful body of works the director producer duo had in the past. While the numbers are pretty decent considering the number of shows the film is being played on, the film still was expected to collect more Moolah at boxoffice. According to boxoffice tracking website Boxofficedetail.com, film registered 5.3 crores in 5 days with some falls on Sunday and early Monday estimates are also on lower side. Here is the breakdown of film’s five day extended weekend’s business from Pakistan. The boxoffice numbers sometimes donot translate the actual quality of a film and Load Wedding is also one such example considering the extremely positive reviews it got from Critics and audience alike. We hope the film picks up in coming days like its contemporaries as success of such subject oriented films is vital to Pakistani cinema to have diverse outlook as far as its offerings are concerned. Previous article Pakistani Box Office Tsunami Reaches the Overseas, with Strong Numbers on Eid.